VERTICITY (noun: power of turning) is a community-oriented cycling studio with a passion for fitness and wellness. 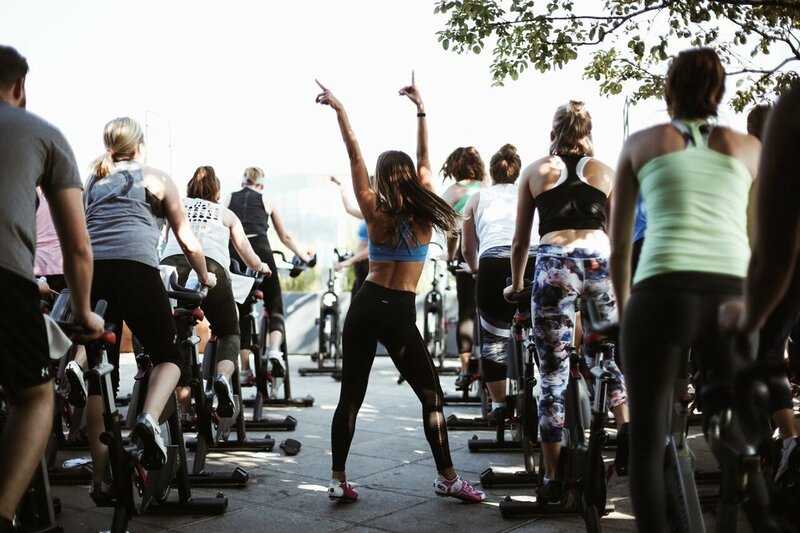 Classes pair an intense full-body cycling workout with the inspirational mood of a yoga class and the high energy environment of a dance club. Opened in May of 2017 in the Farrow at Five Points development in East Nashville, the studio features 30 bikes along with locker rooms, showers, and a line of the brand's own lifestyle apparel and accessories. VERTICITY means "the power of turning," like the wheel or like how our lives evolve. Instructors are inspirational as well as motivational. THE workout for music lovers, ours is a rhythm based ride. We ride entirely to the beat of the music. We ride in a dark studio, setting the mood for a personal experience. We don't use numbers like RPMs or calories burned; Instead riders will be in better touch with how they feel and what they give to each ride. You're welcome to choose from these promotional photos as well. Click for full size. We believe in living our very best lives as our most amazing selves. We believe in inspiring others. We believe there's enough room at the top. We believe that everything is possible. We believe in Nashville. We believe in the power of music. We believe in the importance of community. We believe in putting one foot in front of the other. We believe that sweat is necessary for a healthy body and a full life. We believe fun and hard work must coexist. We believe in ourselves. We believe in each other. This is our city. This is our pack. We are VERTICITY.